And yeah, you can weld titanium. We checked! Bundle Stars has pushed out another super-cheap collection of indie games, and this one might be of particular interest to you. 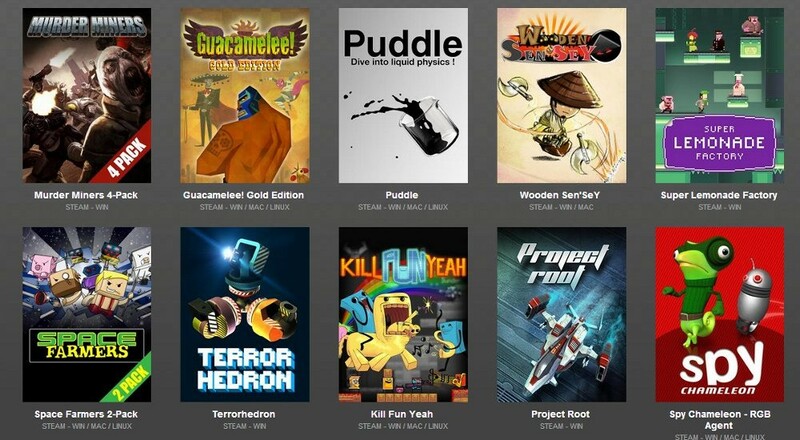 Included in the Titanium Bundle are three co-op titles: Space Farmers, Terrorhedron, and Guacamelee! Gold Edition. This bundle hands over a collection of action-oriented games, including a multiplayer first person shooter, a tower defense game, and some fast-paced platformers for good measure. Three of those games have strong co-op modes, but even the FPS Murder Miners has a sneaky co-op map creation mode, so maybe it's like 3.2 co-op games in the bundle. Whatever, we'll save the math for the math people. The way the Titanium Bundle works is you take $4.99, give it to Bundle Stars, then you get ten games. It's that straightforward, no sliders or minimums or unlockables, just cash for games. In the case of Murder Miners and Space Farmers, you actually get multiple copies of the game to share with your friend-humans. Bundle Stars packs offer up Steam keys for all of its releases, and some even come with DRM-free downloads as a bonus. The Titanium Bundle will be available for four weeks, so even if you're a little sluggish on the draw, you can get your hands on some low-cost co-op games. Page created in 0.8760 seconds.